If you would like to join PhunkyFoods and gain access to all our members content then please contact us for more details. 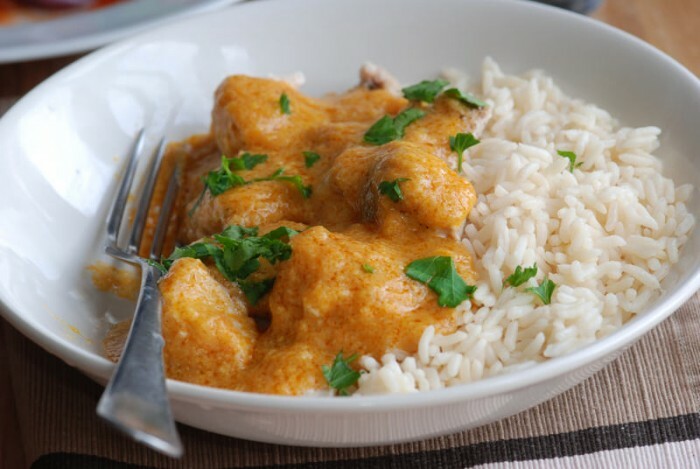 A simple but delicious curry; easy for children to make and mild enough for even the fussiest of eaters. 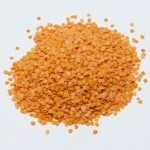 The lentils boost the nutrient profile of the dish, as well as adding a nice thickness and texture to the curry. Delicious served with some fragrant Basmati rice or naan bread. Top with some fresh coriander for a professional finish. Follow a recipe; follow food safety & hygiene rules; tidy away; use measuring jugs and spoons; use a jug to measure liquids; chop using bridge/claw safely; use the hob (with adult supervision); season to taste. Measuring jug, measuring cups and spoons, weighing scales, knife, chopping board, large saucepan or casserole dish, wooden spoon. Chop each chicken thigh into six pieces. Heat the oil in a casserole dish or large saucepan. Add the chicken and fry over a high heat for 5 minutes until browned. Add the onions and fry for 3 minutes, stirring. Reduce the heat slightly, stir in the curry powder and cook for a minute. Add the lentils and chicken stock to the pan, cover and simmer for 15 minutes or until the lentils are tender. Check the seasoning of the curry then stir in the spinach leaves and cook until they just begin to wilt. Swirl in the yoghurt and serve. Chicken is high in protein, and is a good source of B vitamins. Without the skin chicken breast meat is low in fat and calories; thighs and drumsticks are higher in fat and calories. Lentils are so good for us! They are legumes and like other legumes (beans, peas and chickpeas) they are packed with protein and fibre. They are also low in calories and fat and contain a number of substances which are thought to be hugely beneficial to our health. A traffic light system is used on nutrition labels to make it easier to see which foods and drinks are lower in calories, fat, sugar and salt. Try and choose more ‘greens’ and ‘ambers’ and fewer ‘reds’, and stick to smaller portions of ‘reds’. Just because a recipe or a food has a red traffic light doesn't mean you shouldn't eat it. Understanding why a food or recipe might have a red light can be helpful. For example oily fish is high in total fat and so any recipe containing oily fish is likely to be ‘red’ for fat. But it is recommended that we eat oily fish at least once a week because the type of fat it contains is beneficial for our health. % Reference Intakes are also shown. Reference Intakes are guidelines about the approximate amount of particular nutrients and energy required for a healthy diet (based on an average-sized woman doing an average amount of physical activity). Most children will require less than these Reference Intakes. The contribution of one serving of a food or drink to the Reference Intake for each nutrient is expressed as a percentage. Sign up and we will keep you updated with our current offers and news.